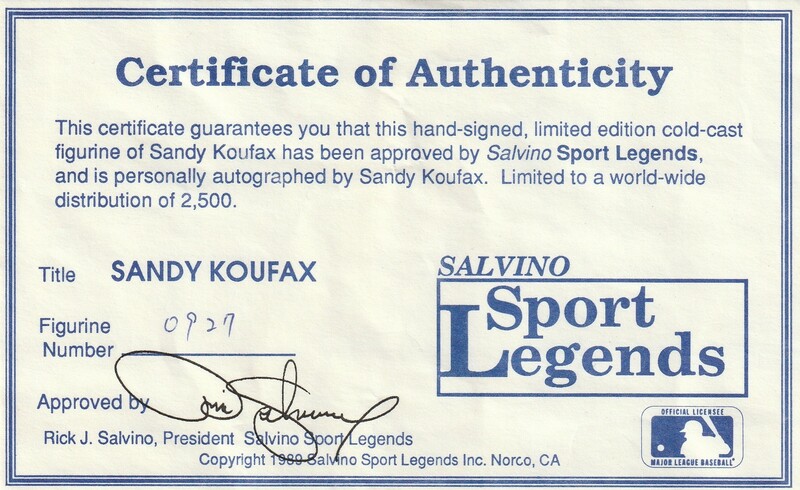 Offered here are two signed Salvino Sport Legends figurines. 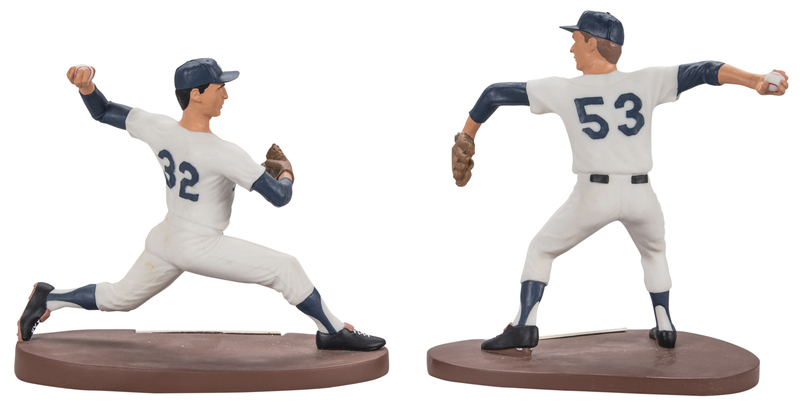 The first figurine depicts the Dodgers Hall of Fame twirler Sandy Koufax. 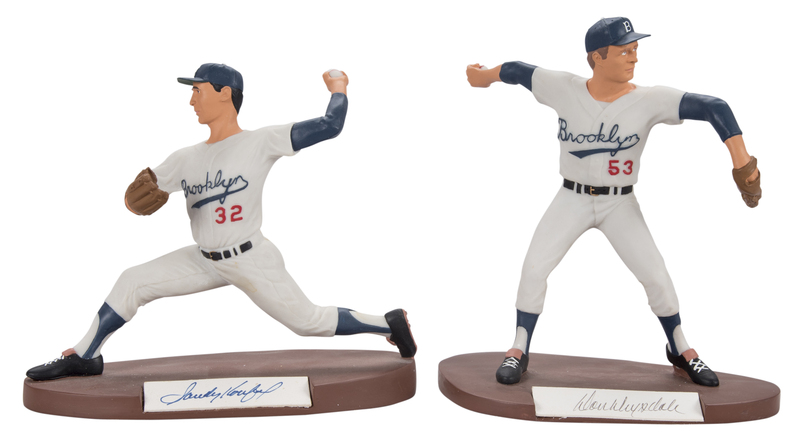 This statue measures approximately 7.5 inches tall and shows Koufax in his Brooklyn Dodgers home whites. Koufax has signed the base of the statue in blue marker. The statue is a limited edition 927 of 2,500 and it is accompanied by a COA from Salvino. The second statue shows Koufax’s Dodgers teammate and fellow Hall member Don Drysdale. 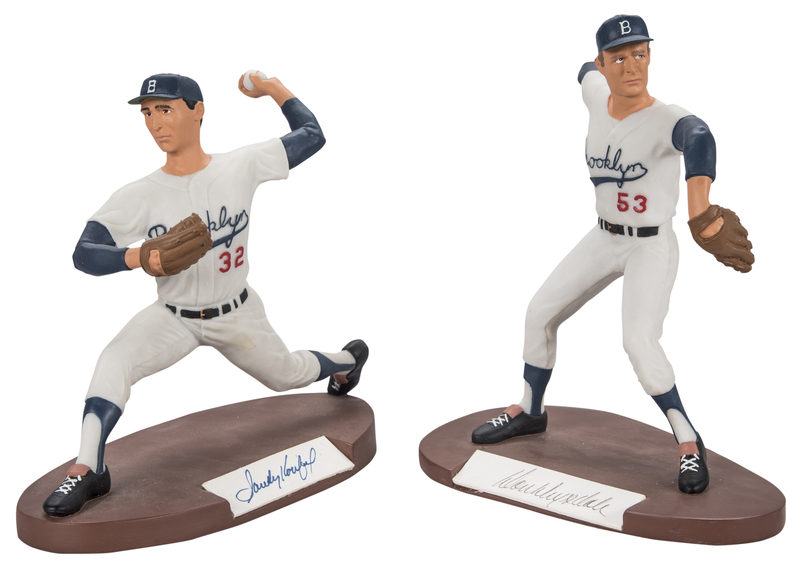 Drysdale is also portrayed in his Dodgers home uniform on this 8.5-inch tall statue. 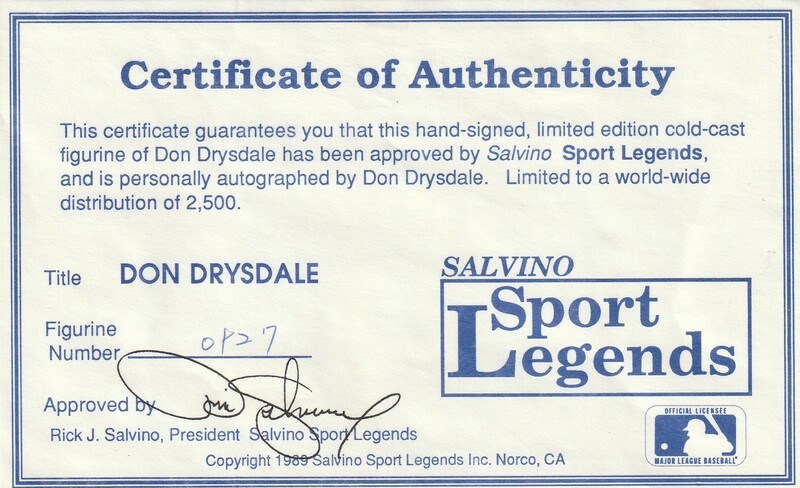 Drysdale has signed the base of the statue in black pen. 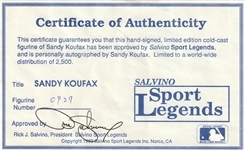 This figurine is a limited edition 927 of 2,500 and it comes with a COA from Salvino. Each figurine comes with an individual Salvino box.